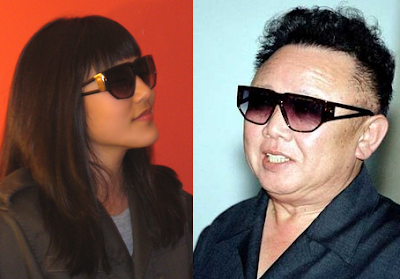 Happy belated 66th birthday to the World’s Worst Dicktator! It’s so awesome to be Number One at something AND look so bitchin’ in sunglasses. Keep up the great work! Ruthless Dicktators = Restaurant Inspirasians! ACCOMPANYING RED MEMORY: The Gang of Four, which included Mao’s wife Jiang Qing and her buds, was largely responsible for the Cultural Revolution, where thousands were killed and millions imprisoned for being on Mao’s shitlist or owning books or nothing at all, really! So naming a shrimp dish after one of the most shameful acts in modern Chinese history–golly, I feel famished! 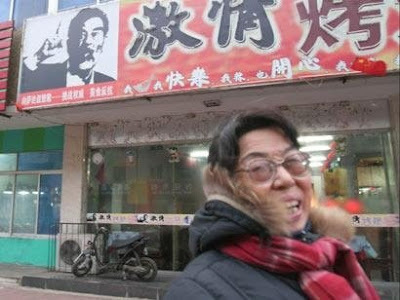 ACCOMPANYING RED MEMORY: “Model Citizen” was another idea introduced during the Cultural Revolution. Why? To keep the people uneducated and afraid so they wouldn’t challenge Mao’s authority. Thought control, basically. I sure hope that noodle soup is as delicious as the threat of a labor camp! ACCOMPANYING RED MEMORY: There’s nothing that whets the appetite more than thinking about 100,000 people walking 8,000 miles for 370 days, and only 7,000 of those sad sacks making it! The upshot? The Long March of 1934 was the beginning of Mao’s ascent to power, and without it, he wouldn’t have launched the aforementioned Cultural Revolution or the Great Leap Forward, where TENS OF MILLION CHINESE PEASANTS STARVED to death! 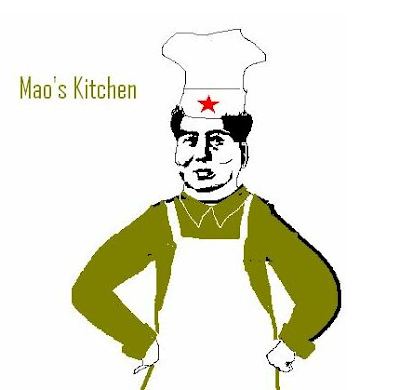 Not to worry, because “Mao’s Kitchen” has a “Peasant’s onion pancake” on the menu, too, so even the poor will have something to eat…this time around.